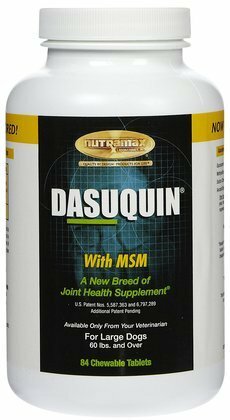 Dasuquin Joint Supplement for Large Dogs 60 lbs. and over (84 Tabs) is a nutritional supplement that contains proprietary ingredients that go beyond other supplements with glucosamine/chondroitin sulfate to maintain healthy joints. 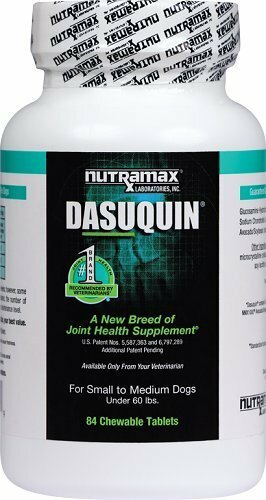 We have combined over ten years of clinical use and research on our joint health supplement Cosequin with our research in advanced joint health ingredients in developing Dasuquin , a cost-effective formulation for dogs, available only through your veterinarian. 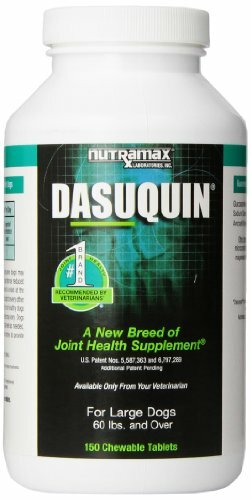 Dasuquin combines NMX1000 *ASU (avocado/soybean unsaponifiables) and decaffeinated tea with Cosequin's FCHG49 *glucosamine hydrochloride and TRH122 *low molecular weight chondroitin sulfate to provide the most comprehensive joint health management formula available for dogs. 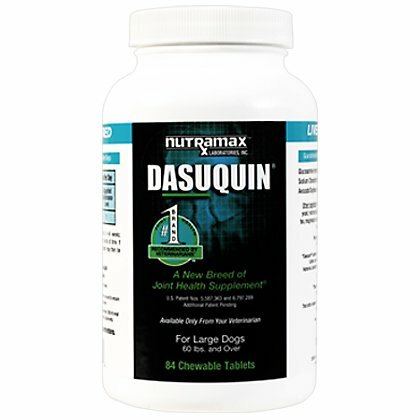 Dasuquin is a dual synergistic formula: its specific glucosamine hydrochloride and low molecular weight chondroitin sulfate have demonstrated synergy in stimulating cartilage production, 1 while ASU also acts synergistically with glucosamine. 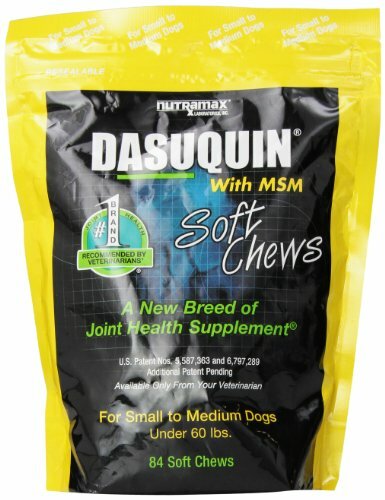 Active Ingredients Dasuquin for Large Dogs (60 lbs and over): Active Ingredients (per chewable tablet) Amount Glucosamine Hydrochloride* 99% 900 mg ? Sodium Chondroitin Sulfate* (Low Molecular Weight) 350 mg ? ¹ Avocado/ Soybean Unsaponifiables* (ASU) Powder 90 mg ? 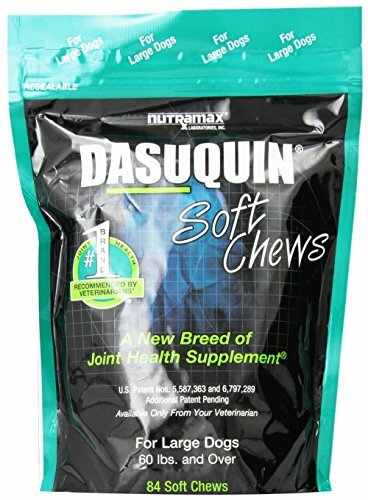 ² Microcrystalline Cellulose Artificial Roast Beef Flavor Natural and Artificial Cheese Flavor Gum Resin Tea Dried Brewer's Yeast Magnesium Stearate Soy Protein Isolate Mixed Tocopherols Natural and Artificial Flavoring Silicon Dioxide Dasuqin for Large Dogs (60 lbs and over): For the initial 4 to 6 week administration period give 2 chewable tablets daily. The suggested maintenance level is to give 1 chewable tablet daily.